The stunning Gordon Smith GS Deluxe Heritage is here presented in Cognac Burst with with Rosewood Fretboard. 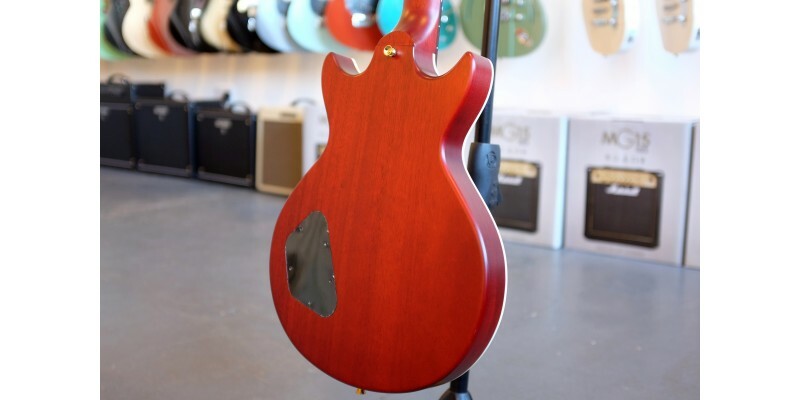 Founded in 1974, Gordon Smith are the UK’s longest running electric guitar manufacturer. 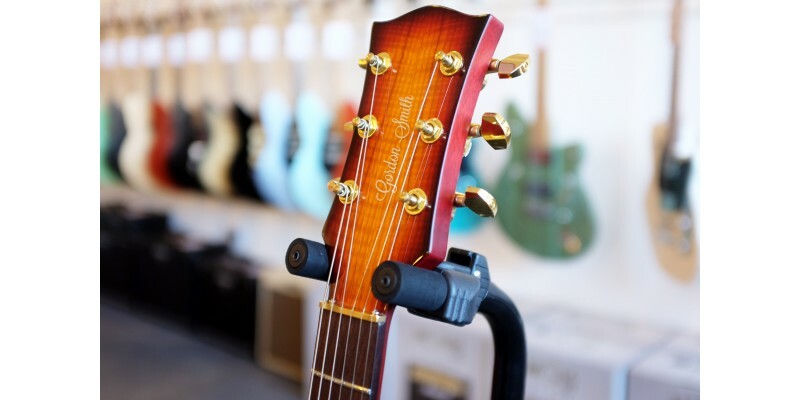 Recently acquired by acoustic guitar brand Auden, they have invested heavily in new machinery, tooling and staff, whilst maintaining the same dedication to the original design, hand crafting affordable working guitars. 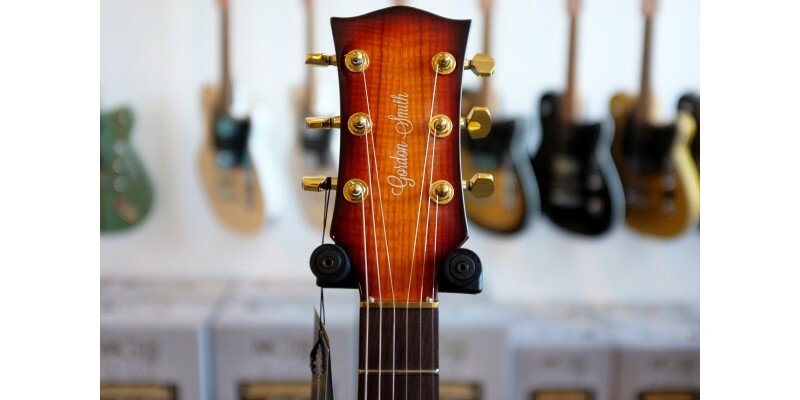 All Gordon Smith guitars are made to order in their Northamptonshire workshop. The Gordon Smith GS Deluxe Heritage Cognac Burst is available today from Guitar.co.uk or in our Glasgow shop, Merchant City Music. Fast UK dispatch and delivery service. 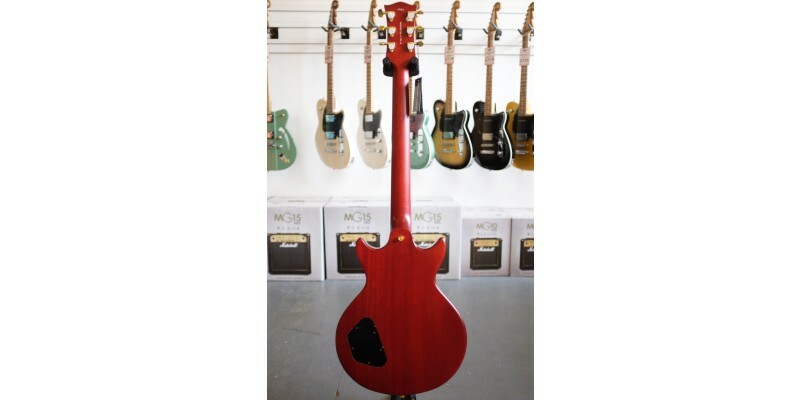 This Gordon Smith GS Deluxe Heritage guitar is a classic Set Neck, Deep Solid Body, with Twin GSG Humbuckers providing everything from warm jazz, to tearing rock crunch sounds. Wound in-house, they have Flat Black covers with Gold pole pieces. The guitar is a double cutaway model allowing great access all across the fingerboard. 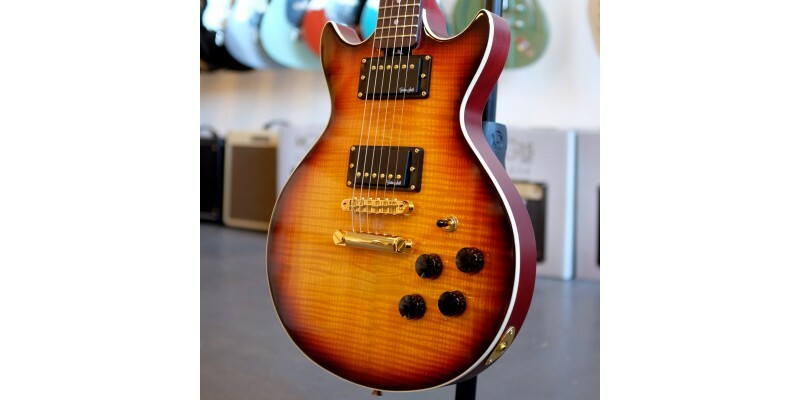 This GS Deluxe Heritage features a unique GSG one-piece mahogany neck, with a smooth satin finish, and Rosewood fingerboard. 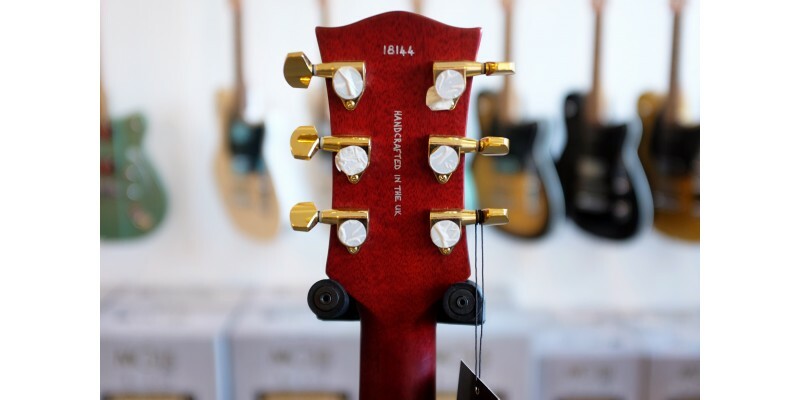 A standard feature with Gordon Smith guitars is a hand filed and polished Brass Nut. This helps maximise sustain and string brightness, and is also very durable. 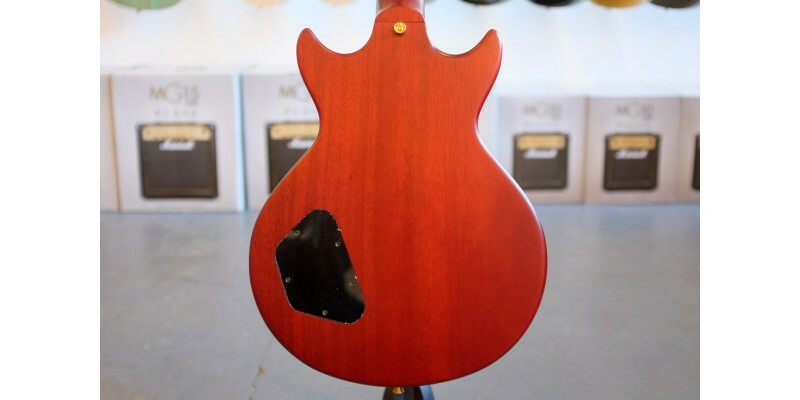 The GS Deluxe body is made of a solid piece of mahogany, to match the neck, lightly stained and satin finished. The top is Gloss Cognac Burst over highly figured Flamed Sycamore, framed with ivory Binding. 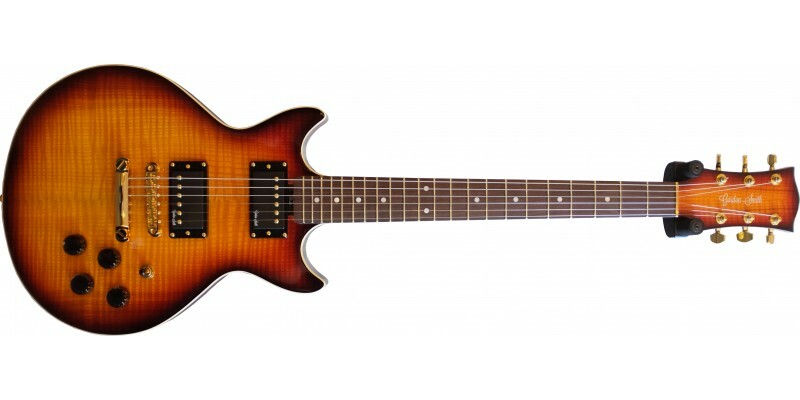 This guitar also has a Matching Headstock featuring the same figured Sycamore Cognac Burst finish as the Body. This guitar has Gold Tune-o-Matic Stoptail Bridge and deluxe Machine heads adding to the high end appeal of this guitar. 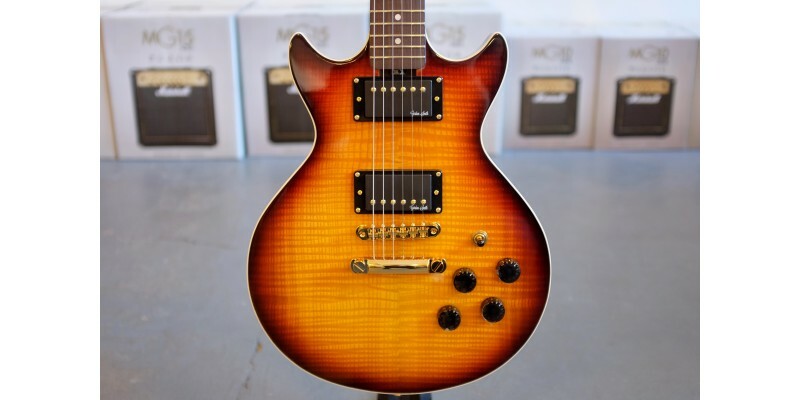 In terms of controls, it has a three way toggle switch, and separate volume and tone controls for each pickup. The Humbuckers are Coil Tapped for even more versatility and single coil twang. 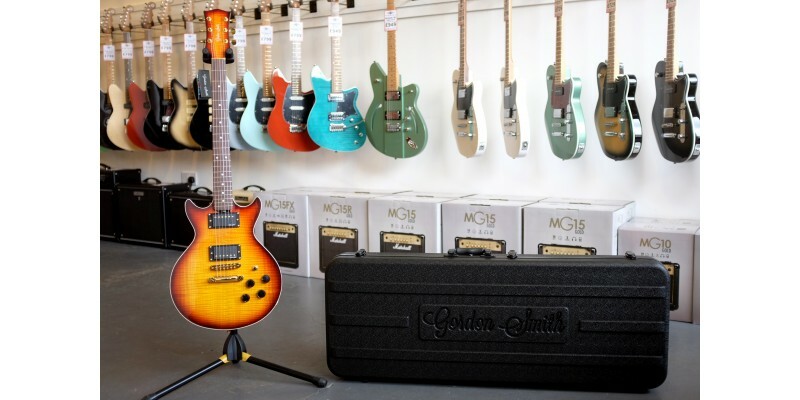 The GS Deluxe Heritage comes complete with a Gordon Smith branded hard case and a certificate of authenticity. 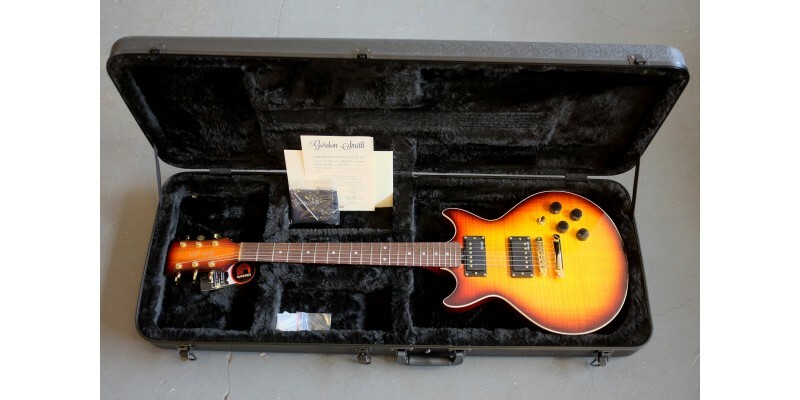 This is a guitar built to perform to a high standard right here in the UK, and at a price that is very impressive indeed!